What is this student thinking? It’s a bit tricky, so extra points if you come up with a complete story that includes a list of things that we know that this kid knows. Posted in A-REI.1, Algebra 1, Solving Linear Equations. This site is about compiling, analyzing and discussing the mathematical errors that students make. The site is edited by Michael Pershan, a middle school and high school math teacher from NYC. To keep the site going we need lots of interesting mistakes. 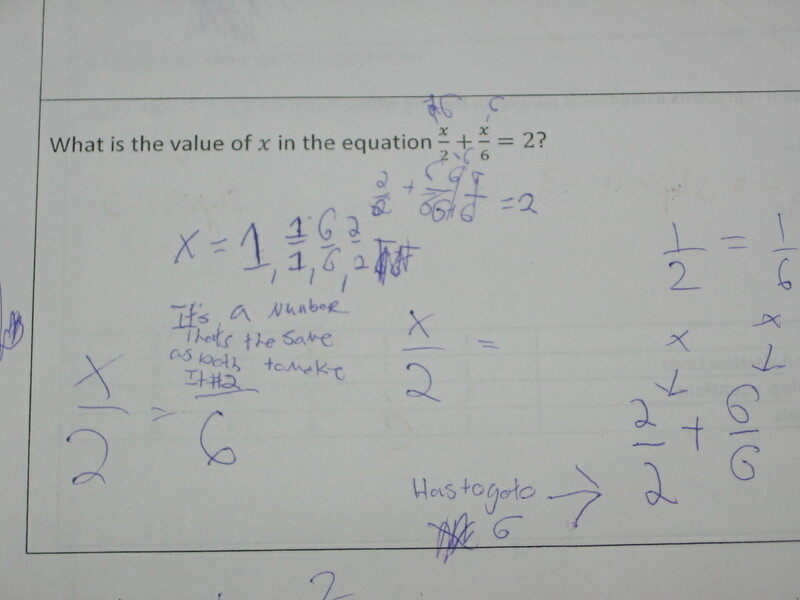 To submit a picture of mathematical work, email michael@mathmistakes.org. Dear Diary: What types of equations are hard to solve? What feedback would you write for this quiz? What makes an equation tricky to solve? Which Activity Would You Choose? Constructing Trinomials - Where to go Next? © 2019 Math Mistakes, all rights reserved.